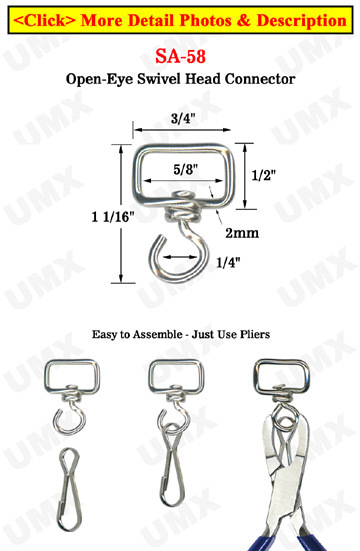 The SA-58, square-shaped, open-eye swivel head connector can be used in conjunction with lanyard straps or craft straps with widths up to 5/8". Use the connector with badge clips or straps, hooks, or with one of our universal strings. This item can also be used with small devices, meters, or other objects that require the swivel function.